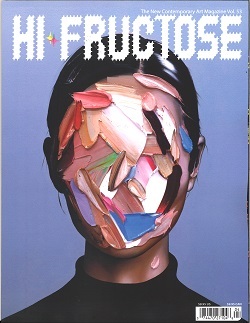 Hi-Fructose is a quarterly art magazine, founded by artists, Attaboy and Annie Owens in 2005. Hi-Fructose focuses squarely on the art which transcends genre and trend, assurring readers thorough coverage and content that is relevant, informative and original. Hi-Fructose showcases an amalgamation of new contemporary, emerging as well distinguished artists, with a spotlight on awe inspiring spectacles from round the worldall of which help to define the future of art in our culture.